According to research in the United States conducted by the Massachusetts General Hospital, anxiety levels are up across the board. A nationally representative survey of more than 2,000 adults looked into what worries people the most, with respondents increasingly concerned about their health, safety, finances, politics, and personal relationships. According to the survey, 40 percent of people said they felt more anxious than they did a year ago, after a 36 percent jump between 2016 and 2017. As the most common mental disorder in the world, anxiety seems unconcerned with nationality, class or age. According to a Global Burden of Disease (GBD) study, anxiety currently affects about one in 13 people, or 7.3 percent of the global population. According to Beyond Blue, anxiety is slightly more prevalent in Australia at roughly 8 percent of the population. 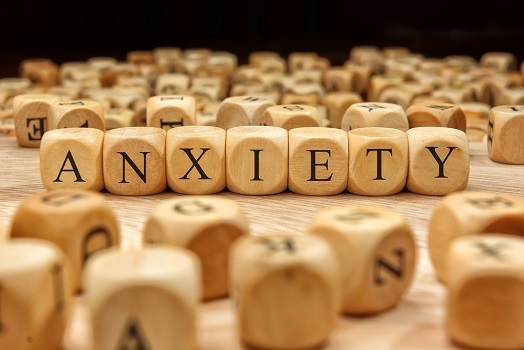 The situation in New Zealand is a little better, with 6.1 percent found to meet the diagnostic criteria for an anxiety disorder according to the New Zealand Health Survey. According to University of Queensland researcher Dr Vanessa Cobham, as many as 1 in 10 children aged 6 to 11 now meet the criteria for anxiety in Australia. Children as young as four have been diagnosed with generalised anxiety disorder, a distressing condition that leaves people feeling intensely worried and fearful for their future. While the Internet has been recognised as one possible trigger, over-stimulation, social pressure, and rising rates of adult anxiety are also having a noticeable effect on kids. Australian women are especially susceptible to the anxiety epidemic, with depression also a significant problem according to the Women's Health Survey 2018. In some very worrying statistics, 66.9 percent of Australian women felt nervous, anxious or on-edge for several days over the last month, and 46.1 percent had been diagnosed with anxiety or depression. According to Jean Hailes for Women's Health, "Usually women put their health last and are very good at caretaking for other people, but this has really highlighted to us that women's health is a really significant issue." While the rise in anxiety should be a big concern for us all, Black Dog Institute clinical director Josephine Anderson thinks that some anxiety can have a positive effect if channelled properly: "A little anxiety, for example, will generally improve our performance... and of course, the flight or fight response saves lives every day. But too much anxiety can really get in the way of our doing what we want or need to do. When anxiety threatens to overwhelm our minds, then doing something mindful - meditating, exercising, writing, for example - can help us focus, calm and filter out distracting, distressing anxiety-driven thoughts."